Today you will see some great projects using our May Ribbon Club Assortment from our very talented design team. They always come up with some super ideas. At the end of the hop, comment on this post answering the question below for a chance to win our May Ribbon Club assortment shown below. Are you planning any big family/friends picnics this summer? What are your favorite picnic games or activities? Our winner will be selected from the numbered comments on this post on Thursday, May 18th. Be sure to check back on Thursday evening to see if you are our lucky winner. This hop was fun and colorful & inspiring! As for summer, July is our busiest month! Not only for the 4th, but birthdays: 16 July (son), 17 July (hubby), 18 July (father-in-law - he'll be 91! ), 19 July (Buster - our dog 🐶), 21 July (daughter-in-law). I'd say our favorite activity is eating cake! Fun hop & fabulous creations by all! We will be doing a bbq in July & possibly for labor day also. Fun and very inspirational hop. Gorgeous ribbons! We have no big plans for this summer bc it will be over 110 most days here in AZ! We usually have our picnics and outdoor events in October when the weather is beautiful! 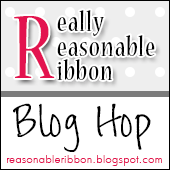 Fabulous blog hop--I got a lot of ideas for patriotic projects. We usually get together with our family for Memorial day, Father's day, 4th of July (also one of our son's birthday) and Labor day. We grill or smoke meat and everyone brings side dishes. I like to come up with a craft for the grandkids and there is also a lot of fishing, canoeing and playing ball. We're planning a beach gathering in June...kite flying on the coast at Long Beach, WA. Digging in the sand, of course, and people watching...fun! Great hop! I enjoyed all the projects! No big plans for the summer, except we are having a week on a houseboat. Not sure what to expect because I have never been on one before! I will be making some of my summer specialties I'm sure, like potato salad and a spinach-strawberry salad. So we'll be doing some sunning, swimming and fishing! I always enjoy these hops! my grandson's birthday next month. aunts, uncles ( although they are fading quickly! ), 1st cousins, 2nd cousins and every other kind of cousin! It's at the church hall and the large property surrounding it. We have volleyball, golf outings, games for kids, hoolah hoops, slippy slide, bubbles, family trivia, food, food and more food. It will be a very busy weekend! I love this patriotic theme for the monthly collection, and can't wait to see all the inspiration along the way. On the 4th of July each year, our extended family has a big BBQ with lots of food, everybody there having a good time, playing yard games, table games (board games, etc. ), and I take pictures of everything for my scrapbook. Thanks for this fun blog hop. What a beautiful assortment of ribbon in this month's ribbon collection. I'm not sure what I'll be doing this summer, most of my family is pretty much spread out. In the past, on the forth, we would all meet at one of the local parks that had fireworks, bring food, and enjoy the day, and fireworks at night. If anything happens this year it will probably be something last minute. Where I live we have a Pot-Luck with hot dogs and burgers to go with all we bring. The outside pool is open too. Probably will have something but nothing is planned yet. We usually have some fireworks since we live out in the country and everyone can come to our house to shoot them off. I love the ribbon colors. The DT did a great job with all of their patriotic projects! Thanks for sharing! I didn't have any picnics planned but after seeing all those cards and decorations I just might have to do something special!